ALL-NEW FROM ROBERT KIRKMAN & JASON HOWARD! Super Dinosaur and Derek Dynamo protect the world from the denizens of Inner Earth! Meanwhile, Max Maximus' master plan finally begins to take shape... and it's BIGGER than anything Super Dinosaur and Derek have faced thus far! 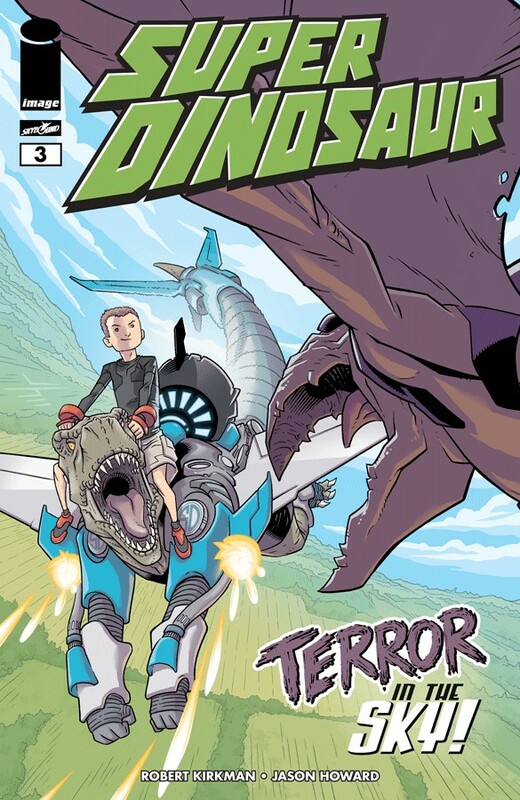 This issue can't be missed, just like every issue of SUPER DINOSAUR!